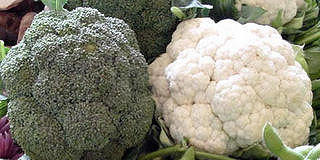 High in Antioxidants, Brassicas, the Backbone of Your Winter Garden! 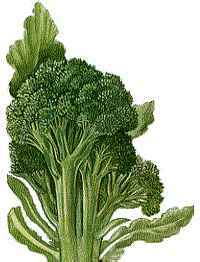 Broccoli, the Crown Jewel of Brassicas! Broccoli, Brussels sprouts, cabbage, cauliflower, collards, kales, kohlrabi! Fall Broccoli Broccoli is not only beautiful, but one of your best garden investments per square foot since it continues to produce after the main head is taken! Grow large headed varieties, sprouting varieties, Romanesco spirals, or loose leafy Raab with ‘pleasantly bitter and peppery highlights!’ Plant a variety of types! One of the best fall large head varieties is Waltham 29. Green Goliath is good spring, summer or fall; tolerant of extremes. Saga has good tolerance for late summer heat. Cut and come again! When the main head forms, before the buds start to loosen up, cut off the head at an angle so water doesn’t go down the core of the plant and rot it out. Let the side shoots grow and harvest, harvest, harvest. OR, plant the best sprouting varieties, which produce no main head but lots of sprouts, they are DeCicco and Green Sprouting Calabrese. If you let your broc flower, production stops. The flowers are edible, though, and pretty salad toppers! If you let it go that far, let the seed pods form, then collect them for the next round of planting. Fat Cabbage Tips! Low calorie slaws, soup greens, sauerkrauts, stir fry! Red or green. Firm the soil, that means walking on it, before you plant, and around the plant when you plant, because cabbages get heavy! Because they are making a very dense head all in one place, they need all the nutrients they can get right at their fingertips, I mean root tips! It helps them make their compact heads, and if you do it right, prevents cabbage maggots – see this link for how to do it. Cabbages like water, but not having soggy feet, and they should not be watered when their heads are getting mature. Cabbage is a cut and come again though in a different way than broccoli and lettuces. When you harvest the head, cut carefully just beneath the solid head leaving the loose, older leaves uninjured. Sprouts will grow in the axils of these remaining leaves, forming several mini heads! Seeds up to 4 years old can be used. Plant a variety! Enjoy green, red, Savoy, or Chinese cabbages! If you overplant, thin, and use the tasty little greens in salads! Would you believe now is the time to plant spring cabbages?! They are named for the season they are harvested in! As some plants bolt (go to seed stalks) in warming weather, cabbages can bolt going into cooler weather! Get disease and bolt resistant varieties. Yellow or Fusarium wilt (F on a nursery tag means your plant is resistant to this) is a relatively common disease, we have it in the soil at Pilgrim Terrace, that causes the leaves of plants to wilt and die. The first sign of the disease is yellowing and browning of the lower leaves. The plants are stunted before wilting occurs. Grow yellows-resistant (YR) or yellows-tolerant varieties. Most modern hybrids have this tolerance or resistance bred into them. A bit o’ Irish folklore: Country girls were blindfolded then led into a field where they pulled the first cabbage they could find. If the cabbage head had a lot of dirt attached to the roots, their future loved one would be wealthy. And eating the cabbage would reveal his nature – bitter or sweet! Cauliflower, Broccoflower: I read they are hard to grow, but I’ve never had trouble and I see lots of our gardeners have success with them! Maybe we’re just good! It isn’t necessary to tie up the leaves to get a good white head, but you can do it if it makes you happy! Get some of those pretty purple ones, or yellow! Once they have headed up, that’s it. Sadly, they don’t make side shoots like brocs do, nor do they ‘come back’ like cabbages. Steam the leaves or chop and drop or compost. Kale is King! Cut and come again, high in Vitamin A. Lots of fun varieties – colorful fringy more tender flat leaved Red Russian; bumpy grayish long leaved Italian heirloom Lacinato/Elephant/Dinosaur; Curly Leaf – almost twice as much leaf per leaf compared to flat leaved greens and in a smaller space! Harvest lower leaves, let your Elephant and Curly Leaf keep growing vertical year after year, plant other crops under them. Truly efficient use of your land. Stake to be wind safe. A blue-green color is associated with greater cold tolerance. Keep a keen watch for aphids, from the very beginning. An infestation can stunt and even kill baby plants. Also watch for little white flies coming out from under the leaves. Hose aphids and flies away immediately. It’s much easier to take care of them early on, your plant will get a better start, and your neighbors’s plants won’t be infested.